This is a great gangster movie! I liked the story quite a lot and the plot is pretty decent put together. Though it is highly predictable, I did enjoy watching it (almost) all the way. The concept of a “lawless” police squad hunting gangsters is rather good, and it would not surprise me if it was based on actual events. I like Josh Brolin and I think he does a pretty decent job here. Ryan Gosling does a good job as well, though I was quite surprised to hear his high pitched voice. A bit weird, I think. It does have a few awkward situations and the cowboy-mexican scene (trying to avoid spoilers) is really lame in my opinion. I was also pretty disappointed about the boxing performance from Cohen. 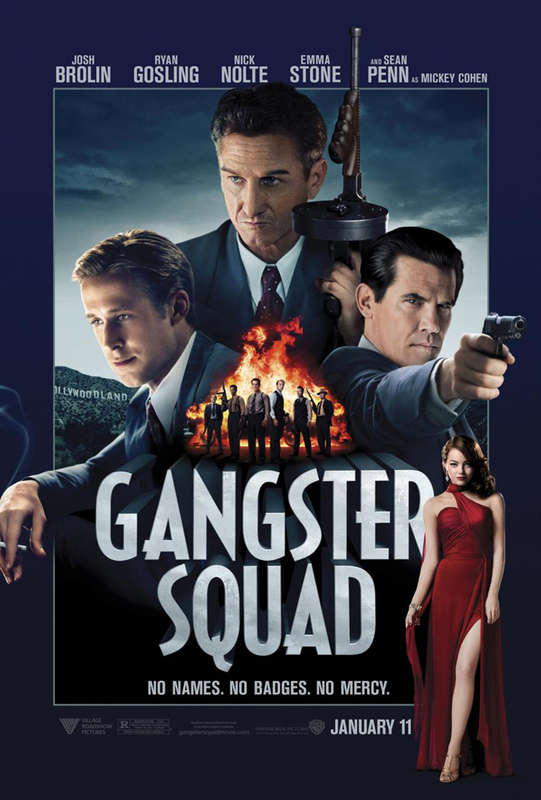 In general a good action and good gangster movie. Definitely worth watching!